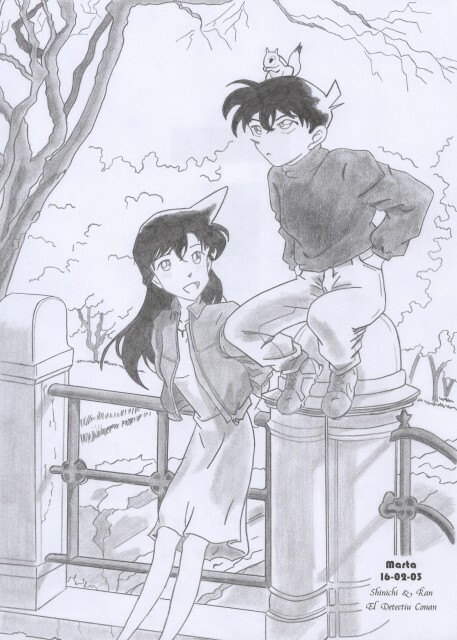 Shinichi to Ran wa shizuka na kooen o sanpo shimasu. E o kaku no ga daisuki desu!!!!!!!! nice drawing, i like shinichis face-expression, the shading is well done too. I really dig it!! 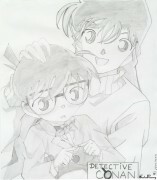 conan looks like conan but ran doesnt look like the reaal her!!! but hey youll get better!!!! keep up the good work! !